Who should pay for Irish banks? Suddenly the realization that Ireland's financial crisis is on a scale that is truly scary has gone global. The bank they were talking about, of course, was Anglo Irish, and the country was Ireland. Anglo, you will remember, is the rogue bank which went from being a minor player in Irish banking to the major player in the Irish property boom, borrowing tens of billions on the money markets to lend to out-of-control Irish developers. Depending on whether you believe the Irish government or Standard & Poors, it's going to cost from €25 billion to €35 billion euro, or even more, to plug the gaping hole in Anglo Irish now that our property bubble has burst. And yes, it's possible that if we don't handle this the right way, it could bring down the country in the economic sense and beggar us for years. What The New York Times was saying is not exactly new -- we've been saying it in this column for a while. But the blunt language from such an important newspaper carried real shock value. It must have made the hearts of the Irish government ministers sink. That story suggested that the Irish government's efforts to keep the bank going and protect all the bondholders was a mistake. And if there was any doubt, the paper followed that up with an editorial headed “No Irish Lazarus” which directly criticized the Irish government's policy of giving all the bondholders all of their money back, and transferring the debt to the Irish taxpayers who will be paying heavily for the mess for the next decade or two. Irish government ministers have been doing their best to act as though everything is fine. The debt is "manageable" and we can "work through it over a period,” they say reassuringly. There is no need for panic. But reading what papers like The New York Times and The Financial Times have been saying, people here are now beginning to wonder. Above all, they are wondering about the government policy of not defaulting on ANY of the debts of Anglo Irish. The most frequently asked question here these days is why doesn't the government just close down Anglo Irish right away? The bondholders knew they were taking a risk, so why can't they take some of the pain? The problem is not just that the government gave a guarantee to protect everyone who gave money to the Irish banks. On top of that, Anglo Irish has now been nationalized, so if it defaults on its debts it's like a country defaulting on its debts, or what the economists call a sovereign default. The problem with that is Ireland now has to borrow billions every year to keep our schools and hospitals and everything else going until our economy picks up again, and the government can get in more taxes and balance our budget. If we default, who's going to lend us the money to keep going? That's on the national level. The same thing applies in our banking sector. If the Anglo Irish bondholders are left to swing in the wind, their fate will be noted by holders of other bank bonds at the very time when our two main banks are desperately trying to raise money for recapitalization on the international money markets. What might seem containable to just Anglo Irish could affect sentiment towards all Irish banks and towards the country in general. The big players in the money markets might decide that we are just not worth the risk any more. If that happened we would face disaster, and so it must be avoided at any cost. That, in a nutshell, is the position of the Irish government -- there is no alternative to paying off everyone who lent money to Anglo Irish and the other Irish banks. With that in mind, the government has already said that it is going to extend the blanket guarantee it gave to our banks two years ago, which was due to end this month -- it will now continue to the end of the year. The trouble with this scenario is that the sums of money involved are astronomical for a country of our size. The fact is that most of the billions loaned out by Anglo Irish will never be recovered. So paying back the bondholders is going to place a huge burden on the backs of taxpayers here now and into the next generation. And people here are beginning to ask why -- why not force the bondholders to carry at least some of the burden? The debt falls mainly into two categories, senior debt and subordinated debt. Without getting into too much jargon, the senior debt is the stuff that carried the lowest return because it was the most protected -- money from pension funds and so on. The subordinated debt, on the other hand, was more high risk and the players involved knew that -- their higher returns were paid because there was an element of risk involved. Now that the ship has sunk, they should have to take the consequences. That's capitalism, folks, and it is very much the view of most Irish taxpayers, as a recent telephone poll confirmed. And given the pressure he is under, Minister for Finance Brian Lenihan may be coming around to that view to some extent at least. Last week the cost of funds to the Irish government on the money markets briefly went over the critical 6% mark, around 3.8% more than it was costing Germany to borrow funds last week. That is no hope territory because it far exceeds the normal level of economic growth and makes it pointless to borrow money. The rate for Ireland has come back very slightly since then, but it is still way up there with the rates paid by the other basket case economies of Europe like Greece. What is driving this above anything else is uncertainty about Ireland's ability to cope and what's going to happen with our banks. That's why Lenihan announced a new policy on Anglo Irish Bank last week, abandoning the unequivocal position that it would continue as a fully functioning bank. Now it's going to be split into a savings bank which will hold deposits, and an asset recovery bank which will hold the remaining loans that have not been transferred to the National Asset Management Agency (NAMA). It will be wound down over the next 10 years or so. The language being used is carefully chosen. The bank is not being "closed." It is being "wound down." By stretching it out over a number of years it lowers the annual amount that the taxpayers will have to put into it to a billion or two or three. It's "manageable," the ministers keep saying. But the fact is that the couple of billion that goes into Anglo every year will have to come out of ordinary spending here, on health, education and other services. It may be "manageable" but it will be extremely painful. And it will go on and on, year after year, with services here falling way behind those in the leading European countries. It's a depressing prospect. The only way out is to refuse to pay back some of the money, to default. 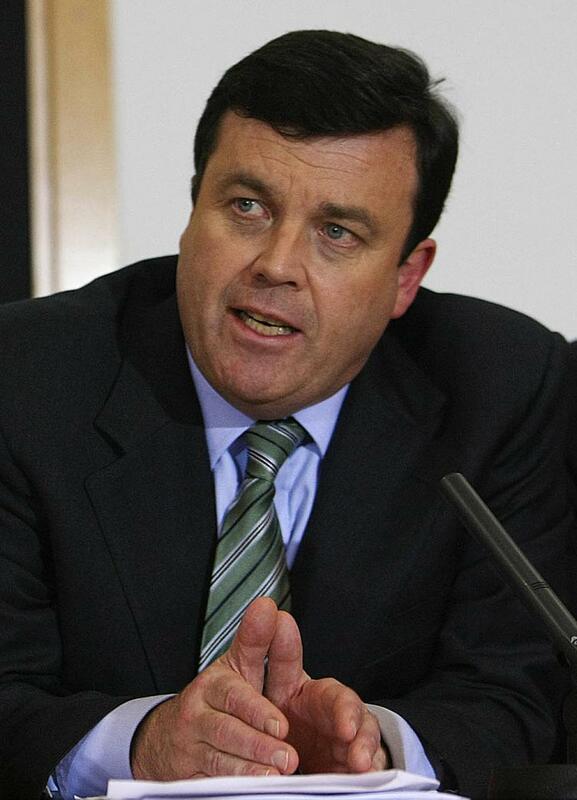 In his statement on Anglo Irish last week it was noticeable that although Lenihan reiterated the state’s support for depositors, he was less definitive in backing the subordinated debt bondholders. In an effort to give Ireland some cover, there is a possibility that the European Union may step into this mess and issue new guidelines that in effect tell banks across Europe to make bondholders take the consequences of the risk they took on. The fact is that it is the EU and the European Central Bank which has kept Ireland going since the property collapse. Without that protection, we would already have been abandoned by the money markets. So we will do whatever the EU decides. The policy of no default on any bonds was understandable while the government was clinging to the hope that we could "manage" our way through this. The difficulty is that the level of cuts this will require could bring a backlash on the streets from ordinary people here which will be anything but "manageable." If we can save a few billion by making the subordinated bondholders take their share of the pain, it just might make the difference. Unless the government has a death wish it will shift its stance. But any move will have to be done with EU approval.